Carex morrowii 'Ice Dance' features dark green leaves that are edged in crisp white, making this grass very showy. It will brighten up a shady corner where it makes a nice contrast to the broader leaves of hostas. It has a slow growing habit gradually spreading to make a compact mound. 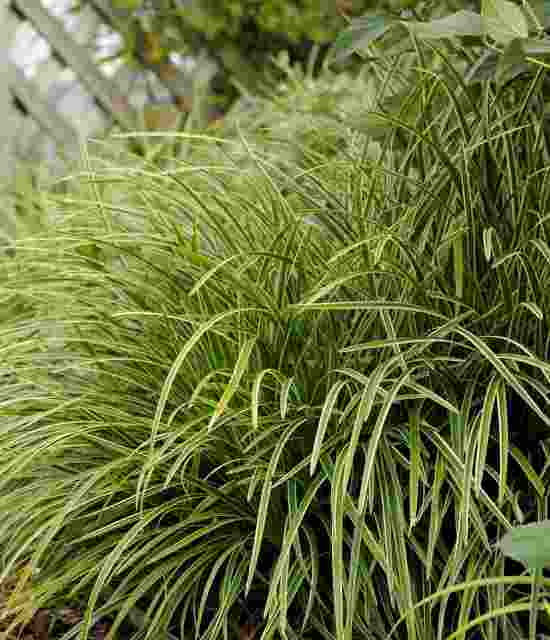 Carex 'Ice Dance' will grow in average to moist soil in light to partial shade. Because it is evergreen situate it away from winter winds and provide it with some extra protection in the form of evergreen boughs or dry straw. Cut back the foliage in the spring if winter damage is excessive. New growth will fill in quickly.